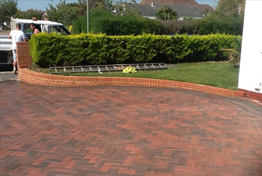 Tradewise Home Improvements Ltd are specialist driveway block paving installers in Southampton. Tradewise has been established for over twenty years, our team of highly experienced paving contractors build stunning driveways and patios that are built to last. 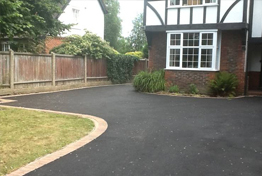 We have been installing tarmac and block paved driveways across Southampton in Hythe, Holbury, Totton, Bitterne, Chilworth, Chandlers Ford. 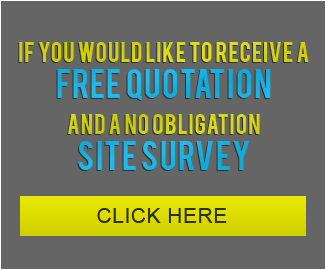 Call on 0238 098 8025 for a free no obligation quotation for a new driveway in Southampton. 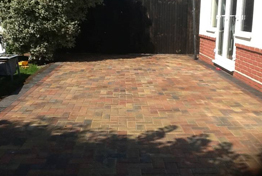 Block paving is one of the most popular driveway installations that Tradewise have been contracted to install in Southampton. Block paved driveways are a popular choice for homeowners and business premises because there are a variety of textures and finishes; including many colours and a multitude of available designs. This particular type of drive is very low maintenance and hardwearing making it a great choice for all. Resin Driveways are hard wearing with a low maintenance requirement. The wide variety of choices with fast,low mess installations make them a popular choice with homeowners. Tradewise are specialist resin bonded driveway installers and know the importance of having a permeable surface below the resin to ensure that water does not sit on the surface. The technology in the resin allows water to drain through but only if the correct foundations are laid into place. Resin driveways can also be installed with block paved edging to add that little bit extra to the design, there are countless colours and combinations of brick and resin to make your resin driveway truly unique. 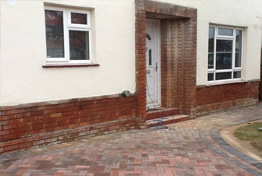 Tarmac driveway installations in the Southampton area are another great choice. Properly named bitmac it is the most affordable option when covering large areas. 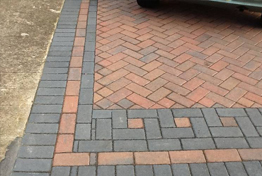 Whilst it is not as pleasing on the eye as block paving it is suitable for areas to be trafficked such as driveways, and to a lesser extent, pathways. Tradewise are professional bitmac driveway installers. We understand that it is imperative that the surface to be covered is clean, sound and free of organic material. Bitmac cannot be laid over a cracked or unsound base as any joins or cracks will result in the new surface failing. We offer a free design and planning service for our wide range of paving and garden landscaping services. Whatever the style of your home, traditional or modern we have the expertise to design a beautiful driveway or garden that will complement it perfectly. 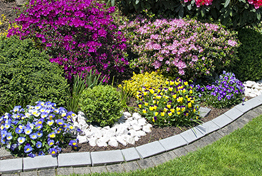 We are happy to undertake projects of all sizes from building a small garden wall to entirely re-landscaping your property. Working together, we can offer ideas to help you get the most from your driveway or garden. We take into account all aspects such as orientation, security and privacy to ensure the end product is not only beautiful, but designed suit your specific needs. Whatever your budget, we can design a beautiful driveway or patio. Using a wide range of high quality materials such as flagstones, block paving, tarmac or loose stone we can work with just about any budget. There are so many options to choose from when taking into account laying patterns, colours, textures and decorative borders you can be assured of a design tailor made for you.